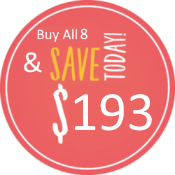 Essentials 3-Pack, OR....Click Below, only $599 to Buy all 8 Sessions! Landlord Essentials 3-Pak The first three Webinars below are essential for the new landlord just getting started in the business, or for existing landlords who are confused about the rules and requirements under the Residentail Tenancies Act. Buy each individually, or save a bundle and purcahse the New Landlord 3-Pack for just $249 to keep yourself out of trouble. This package includes Starting a Tenancy, Ontario's System of Rent Control and Rights & Obligations. New - Marijuana in Rentals - Marijuana is now legal across Canada. How will you deal with it? There may be insurance or mortgage implications of having people smoke and run mini-grow-ops. Complaints from other tenants need to be dealt with. Mold and utility cost issues are possible. Watch this 27 minute webinar on the new rules, ways to deal with the problem, and the process for LTB evictions for cannabis use or growing. Includes notice of termination sample pleadings for smoking in rentals, freehold & condo, extensive PowerPoint. Starting a Tenancy - The NEW mandatory government lease form, plus our suggested lease Appendix with dozens of clauses to provide proper protection, tenant screening tips to avoid the "Tenant from Hell", rental applications, guarantor agreement, Human Rights Code, rent deposits, exemptions from RTA. Ontario's System of Rent Control - Rent deposits, interest on rent deposits, raising rents, increases for additional facilities, illegal charges, the L5 above guideline application, Ontario's new 2017 rule changes. Everything you need to know about keeping your rent legal, and avoiding applications by a tenant for a reduction. Rights and Obligations - Maintenance, entering the rental unit, privacy, quiet enjoyment, inspections, damage to the unit, preventing and defending & preventing tenant applications filed against the landlord at the LTB. Learn the day to day responsibilities of both landlords and tenants. Evictions for Rent Issues - The N4 termination notice, the L1 application and hearing process, tenant voiding opportunities, LTB orders, enforcement of judgments, eviction & money. Evictions for persistent late payment of rent. This webinar takes you through the entire process from notice, to application and then hearing. Evictions for Tenant Conduct - The N5, N6, N7 and N8 eviction forms, and how to complete them, filing applications, the N5 voiding provisions, sufficiency of notice details. Webinar includes a number of notice appendices for complex issues such as non-payment of utilities, condo evictions, smoking, marijuana etc. Evictions for Landlord or Purchaser use - In this webinar we discuss No Fault Evictions, that is those for landlord and purchaser's own use, as well as for demolition and renovation. Ontario's 2017 RTA rule changes made these more complex. Learn strategies for succssfully evicting for recovery of the unit for the landlord or purchaser. A lot of these applications are dismissed by the LTB. Avoid being a statistic. Attending a Hearing at the LTB - Preparing for the hearing will help you feel more comfortable when the hearing date comes. Scheduling, filing, adjourning a hearing. Attending a hearing, conduct at the hearing, summoning witnesses, adjournments, reviews at the LTB and appeals to Divisional Court. Mediation at the LTB - The process of mediation at the LTB, the private mediated agreement versus the consent order. How to use agreements with s.78 clauses as a wey to an easier eviction.